Almost three months into the fiscal year, hospitals still do not know exactly how much funding they will receive from the province via the Local Health Integration Networks (LHINs). Funding letters are expected by June 30. During the spring budget hospitals were told that their base funding would be 1.5 per cent. That is not turning out to be exactly true. For starters, the amount is a little bit less – 1.467 per cent. Secondly, the LHINs are splitting how that money will be distributed. In the Central East LHIN, 0.744 per cent will be given to all hospitals – 10 hospitals would share $8.95 million. The remaining 0.723 per cent will be allocated according to a set of performance criteria set by the LHIN. This amounts to $8.71 million of discretionary funding by the LHIN. While the Central East LHIN reported that all 10 hospitals in that region will qualify for the full amount – including Peterborough which is facing a significant deficit – the criteria will be more stringent next year. The criteria set by the LHIN have raised more than a few eyebrows, including LHIN board members who didn’t have input into the weighting of this criteria. The majority of this discretionary funding – sixty per cent — will be dependent on a hospital’s financial performance – whether or not they can balance their budget or follow their financial plan if in deficit. Thirty per cent is dependent on clinical performance, including how they deal with “alternate level of care patients” and wait times issues. Only 10 per cent is assigned based on quality and safety. Given the rhetoric on quality, the LHINs are clearly not walking the talk. Next year the hospitals have been warned they will have one additional criteria – the hospital must involve itself in at least three integrations, and be prepared to implement those integrations by the beginning of April 2011. An “integration” under a LHIN can include partnering with another health care provider, amalgamate services from several providers, transferring services to another entity, coordinating services between providers, or to ceasing to provide a service. Northumberland Hills Hospital, for example, would have completed an “integration” by ending all outpatient rehab services. The public would likely not see that as a desired outcome, but one more likely under this scenario. Despite the difficulties encountered by trying to establish accountability agreements with private for-profit entities such as nursing homes and agencies, there is no question the government intends to take as much as possible out of the hospitals, divesting what they can from the public coverage (ie. outpatient physiotherapy) and providing the rest in cheaper settings that unfortunately may also be of lesser quality. Last month the same LHIN suggested they were not getting good reporting from many of these same agencies, and that there was no certainty of the quality of services they were delivering. 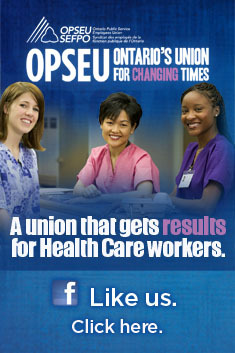 (See: https://opseudiablogue.wordpress.com/2010/05/18/lhin-discovers-community-agencies-have-quality-and-financial-management-issues/) This month they discovered the perils of a largely for-profit nursing home sector which is telling the government to back off on its efforts to get accountability for public funding. Is this really how we want health care to be delivered? If this is the early track record, should the government not take a pause and evaluate the situation first? To mandate integratons in this environment is potentially a prescription for disaster. At the Central East LHIN the board members asked staff about the reaction of hospitals. Paul Barker, a senior director with the LHIN, said hospitals were surprised – “there was not 100 per cent happiness with the direction,” he said with considerable understatement. He explained the hospitals in the region were struggling to meet true inflation costs. The incentive was so small – less than one per cent for all three performance categories – that it may not be material. The hospital administrators said it would have made more sense to offer these incentives over and above their inflation costs. The penalty for not involving a hospital in three integrations is so small, many may choose to simply ignore the directive. The work and cost of involving the hospital in an integration decision would likely exceed the financial penalty for not doing so.